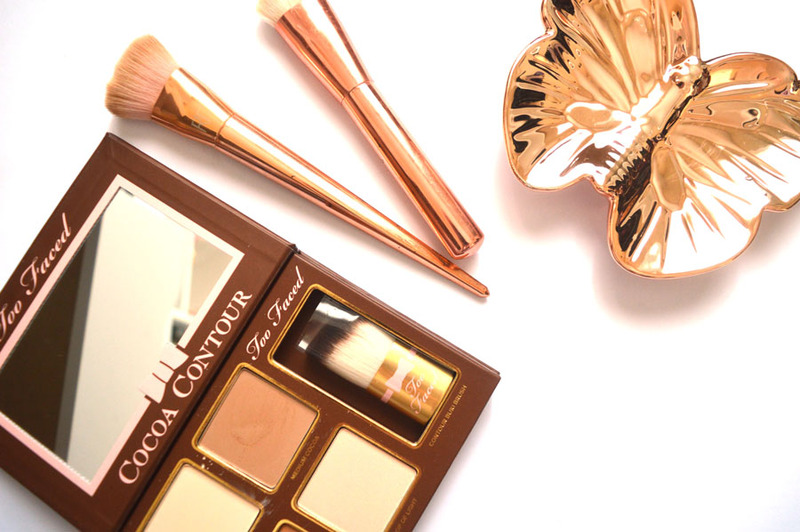 The hype of the Too Faced cocoa contour kit review is real. So real in fact, I can’t believe I’ve only just added this to my collection (shout out to Rich, actually, for getting me this for Christmas!) I’ve read/watched countless wonderful reviews about this, that I couldn’t wait to try it for myself and answer the questions: is this really worth the hype? Colour: The shades in the Too Faced cocoa contour kit are perfect for everyone from pale skinned girls to people with a darker skin tone, not to mention they can be built up to create the perfect shadow effect for your contour. The shades are warm toned, but have a neutral undertone meaning they’re not orange at all – more like the perfect brown. I always use the ‘medium cocoa’ shade for my pale skin, but the ‘dark contour’ can be used to deepen up the cheeks, or for a more intense look for going out. The ‘light cocoa’ colour is fantastic for setting concealer under the eye as it is completely matte and super light. The dark hours of the palette though, is the highlight ‘pop of light’ – it’s such a stunning, iridescent champagne colour. I am OBSESSED with the Too Faced cocoa contour kit already! Pigmentation: Both a pro and a con of this product is that it is SO pigmented, so you only need the lightest of touches on your brush to get the perfect amount of product. This kit is clearly going to last me SO LONG at this rate! 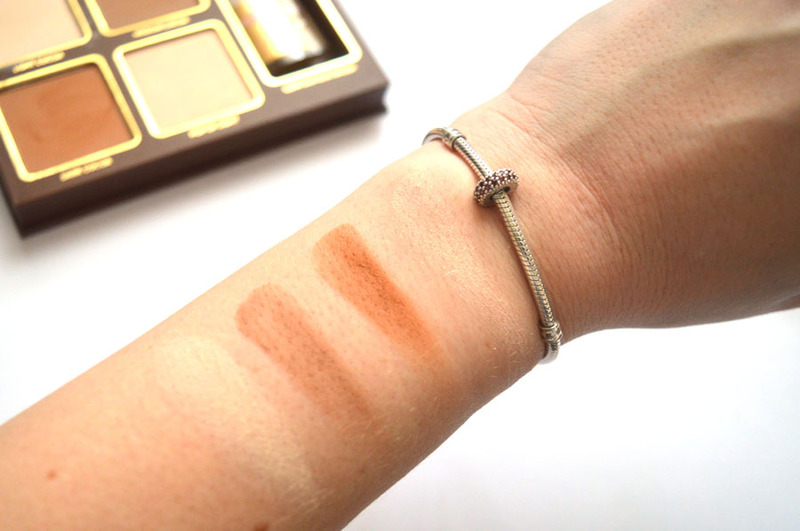 Blendability: Much like my love for the Too Faced Chocolate Bar Eye Shadow Palette, the Too Faced cocoa contour kit blends effortlessly for a natural finish. If you love their eye shadow’s then you’ll honestly love this kit. Brush: In the kit, you get a small kabuki brush and surprisingly, it’s perfect for contouring. It helps you get right into your cheeks and it’s even better if you travel often, as you have everything you need all in one palette. Packaging: This is not metal like the eye shadow palettes which is bit of a disappointment, but it is still extremely robust and will travel well. It’s not at all bulky, even though it has four products and a brush inside. Not to mention, I’m delighted with the mirror it has too as it’s ever so slightly magnifying which will really help you do your makeup with ease even if you’re out and about! So… is it worth the hype? If you couldn’t tell from my shining review – I love this product! It’s everything, everyone has been raving about and I’m sure this is going to be a 2017 favourite. I can’t believe I’m only just trying this out. If you, like me, have been eyeing this up for a while.. don’t hesitate any longer. You seriously won’t regret it! 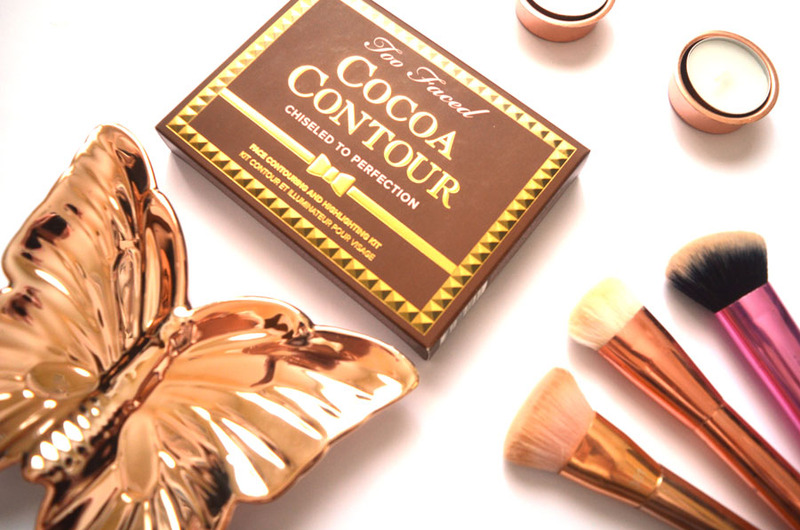 Have you tried the Too Faced cocoa contour kit before? Is it on your 2017 wishlist? Let me know. 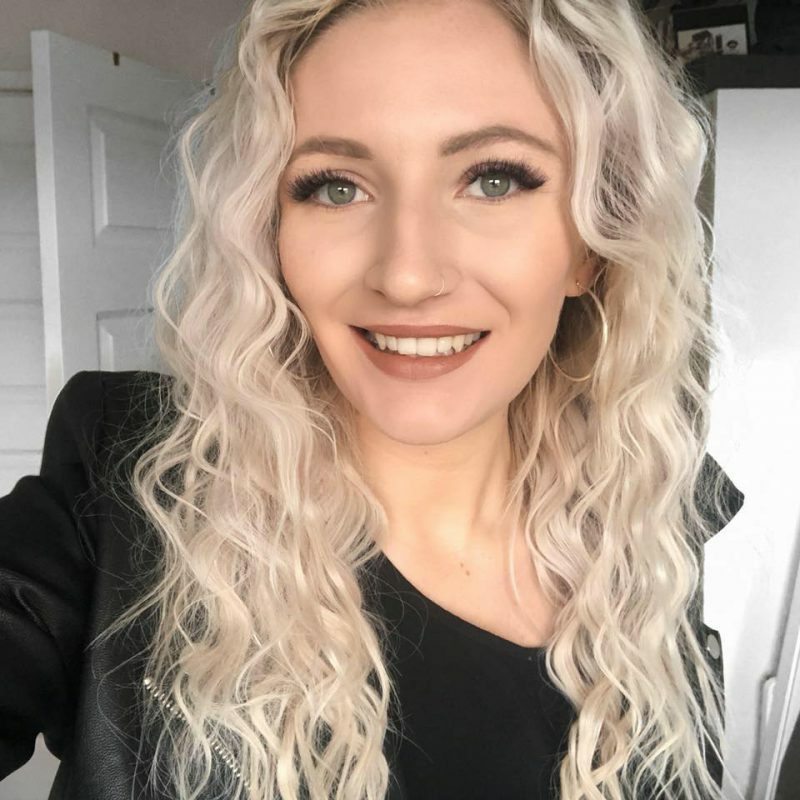 Life Lately #3 | My 21st!